TAW-Games: Free roadtrip to Nordic Game Jam + cheap tickets! Free roadtrip to Nordic Game Jam + cheap tickets! FREE BUSRIDE TO NORDIC GAME JAM! 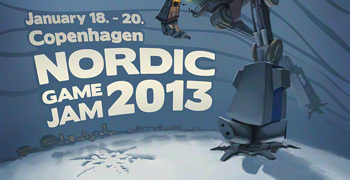 We (the Bermuda project in partnership with Shareplay) have organized an absolutely free bus trip from Aalborg, Aarhus and Viborg to Nordic Game Jam 2013 (January 18th-20th)! .. AND CHEAPER TICKETS TOO! We close for reservations Monday 14th, or when we run out of seats – whichever comes first. It’s the world’s largest game jam, with participants from all over the world – you should totally go! This roadtrip, and event, is brought to you by the Bermuda project. Bermuda consists of the creative clusters in Aalborg (Platform4), Aarhus (Talentfabrikken) and Viborg (Open Workshop), and Bermuda is made possible with support from Shareplay!